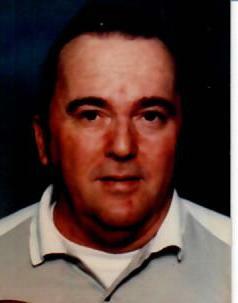 Glen R. Elbin, 78, passed away at the Hagerstown Healthcare Facility in Hagerstown, Maryland on Tuesday, April 2, 2019. He was born on November 25, 1940 in Clearville, son of the late Stewart R. Elbin and Vera (Miller) Elbin of Artemas, PA. Glen was formerly married to Stella Bennett. He was proceeded in death by his brother, Gary L. Elbin. Surviving is a son, Adam, who lives in North Carolina; half-sister Mildred Sipes, Clearville, PA. Also surviving are seven cousins from Glen’s mother’s side of the family. Glenn served in the U.S. Army, stationed in Ft. Riley, Kansas for the entire two years during 1966-67. After returning from the Army, he worked at Blue Triangle in Everett for the remainder of his working years. He was an avid NASCAR fan. Funeral arrangements are being handled by Akers Funeral Home, Inc., 299 Raystown Road, Everett, PA 15537. Burial will be held privately at the Fairview Cemetery in Artemas, PA.